Analyze the profitability of every job in real time. Get immediate insight into your material inventory so you can see exactly what you have on hand at all times. Produce bar-coded job travelers so you can track every detail of every job from beginning to end. Track employee time in the building and employee time spent on the job so you can maximize productivity and eliminate wasted hours. Leverage the software work queue so your team always knows what jobs are in the pipeline. Eliminate time cards that may be hard-to-read, inaccurate, or downright wrong. Now you can pay your team for the exact amount of time they’ve spent in the shop, not the amount that they’ve written on their manual card. 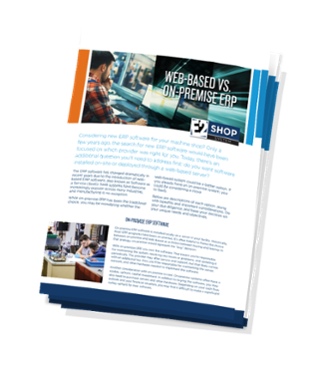 One of the most exciting features of E2 SHOP is the mobile responsiveness, so your team can access the Data Collection module directly from their workstation with just a cell phone. 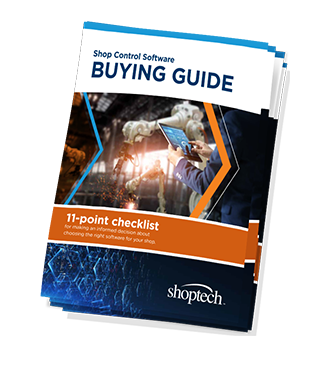 Shoptech offers Apple and Android compatible apps, including the E2 SHOP Touchscreen app for tablets and E2 SHOP Employee DC app for phones. Both of these apps are FREE to all E2 SHOP customers that have the Data Collection module, and they are available now on the iTunes store and Google Play for download. 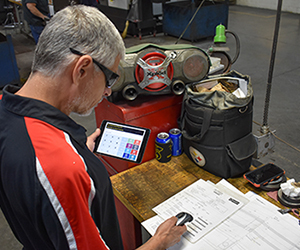 E2 Data Collection – A Great Tool For Your Shop! Watch our short video to see Data Collection Module in use. You know you can make improvements to your shop’s process to boost your bottom line. But how do you know which changes will have the biggest impact? And how can you identify the inefficiencies that are dragging your margins down? 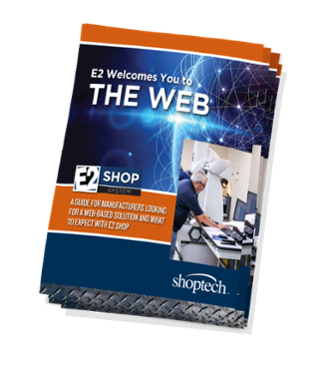 Get a clear view into your shop’s operations with Shoptech’s E2 machine shop software system. 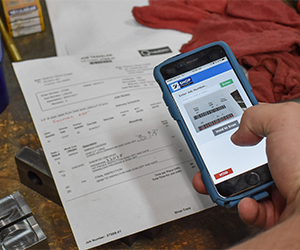 The Data Collection Module in the E2 system gives you a transparent view into your shop’s operations. Collect data on a wide range of metrics, including how much time each job takes, how much waste is being generated, and where bottlenecks are occurring in the process. 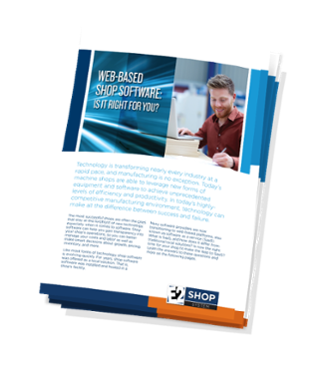 Take control of your process and eliminate inefficiencies with Shoptech’s E2 machine shop software platform. E2 Data Collection has given Airtek precise estimates concerning our profits when repairing units along with the profits when building and developing of new equipment.